The latest update of Bminer 11.4.0 has introduced experimental support for mining BEAM (Equihash 150/5) on AMD GPUs after the previous release brought support for the new algorithm on Nvidia GPUs. 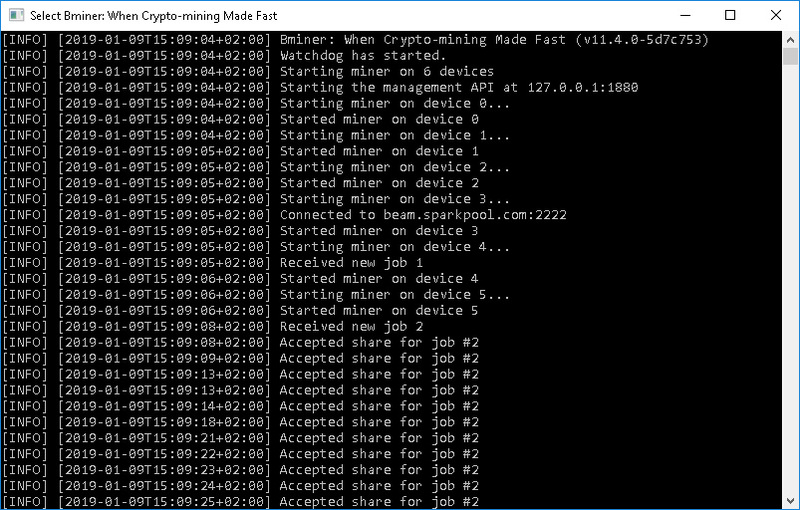 In order to enable AMD support you need to use an additional parameter in the command line of the miner, for example to run on the first AMD GPU: -devices amd:0, you need to list the deice IDs of the available AMD video cards in the mining rig that you want to use for mining. Do note that the BEAM Project does have an official AMD GPU miner as well as an Nvidia CUDA one, so you might want to try and compare the performance on AMD hardware between the two. Also note that BEAM mining support is still experimental on Bminer, so there could be some issues and problems at this point. We remind you that that Bminer is a closed source Nvidia GPU miner available for Linux and Windows in the form of pre-compiled binaries and that there is a 2% development fee for Bytom (BTM), Equihash and Zhash coins, 0.65% for Ethash and 1.3% for dual mining Ethash and Blake. In cryptocurrency networks, mining is a validation of transactions. For this effort, successful miners obtain new cryptocurrency as a reward. The reward decreases transaction fees by creating a complementary incentive to contribute to the processing power of the network.